In Latin, lupus means wolf, and erythematosus means redness. In the 18th century, doctors who first treated the disease noticed a common symptom: a red rash on the face and thought looked liked a wolf, or lupus, bite. Now, the red rash is referred to as the malar rash and is likened to a butterfly. 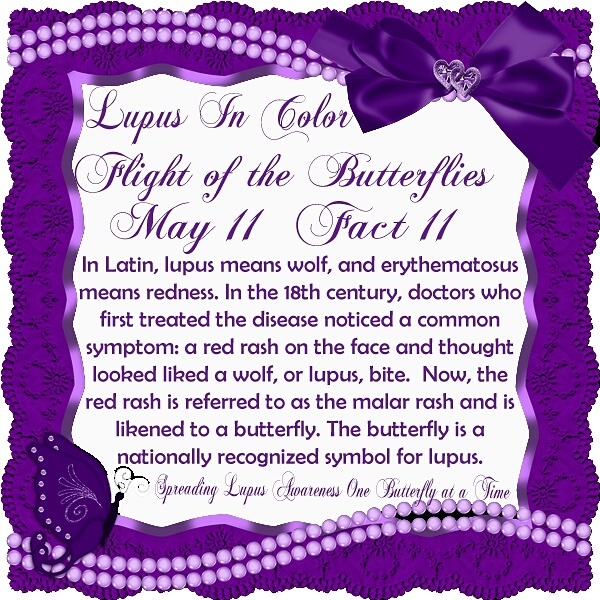 The butterfly is a nationally recognized symbol for lupus. This is your eleventh butterfly of hope.